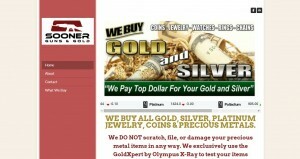 Sooner Guns And Gold address, phone, website, hours of operation, and more. At Sooner Guns And Gold, we believe in treating people the way we would want to be treated. We don’t have any gimmicks. 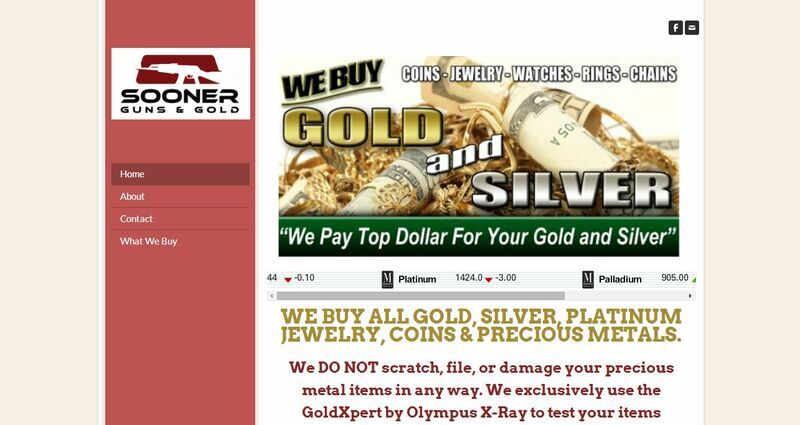 We flat out offer the highest amount possible for your Gold, Silver and Diamonds. We use a state of the art Olympus GoldXpert X-Ray, to quickly and honestly evaluate your precious metals. We don’t file, scratch, or pour acid on your jewelry. This eliminates all guesswork and allows us to pay you more. We have been in the business for over 15 years and are here to stay. We are not a fly by night Gold Buyer, looking to make a quick buck. We want to earn your business and trust for many years to come.